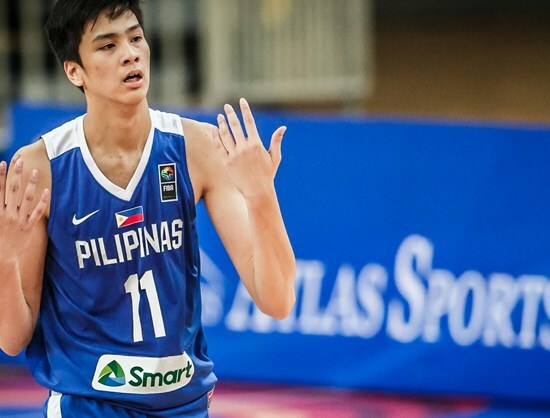 With this promise, Filipino teenage sensation Kai Sotto sent shockwaves to the Philippine basketball scene on Monday as he formally announced his decision to fly overseas to begin a new chapter in his still budding hoops career. “I want to devote the next two to three years to single-mindedly focus on my goal of joining the NBA by 2021 or 2022,” Sotto wrote in a statement he released on his social media accounts, signifying his intention of making it to the biggest and grandest professional basketball league in the world. The 7-foot-2, 16-year-old Ateneo Blue Eaglet rose to popularity years back not only because his mind-boggling height but also due to the beaming potential that came with it. True enough, Sotto walked the talk, dominating the UAAP Juniors Basketball scene where he would rack up astonishing numbers and win several accolades. The son of former PBA pro Ervin Sotto was also able to represent the country in various international competitions such as the Southeast Asian U-16 Championship, and the FIBA Asia and FIBA World youth level competitions. Because of his impressive rise, the younger Sotto was able to attract offers from foreign schools and even from European club teams at such a tender age. After a grueling process and a series of consultations with his parents and experienced mentors, Sotto came up with the decision he feels is best for his long-term goals. “I strongly feel (with [Ervin Sotto]’s advice and the advice of other experienced mentors) that leaving immediately to start my training and getting the right exposure will go a long way to help me realize my dream,” Sotto added in his statement. Sotto will join the likes of Japeth Aguilar, Kiefer Ravena, and Ray Parks Jr. who both spent time in the United States to chase their respective NBA dreams. HBO ‘Perry Mason’ Reboot Stars Matthew Rhys, Produced by Robert Downey, Jr.